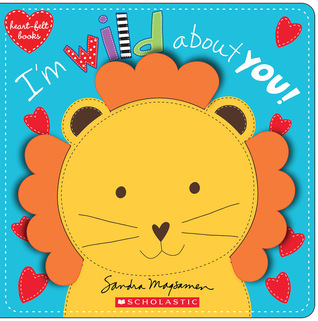 Board book: Itsy-Bitsy I Love You! Teachers Are Sparklighters for Literacy Everyday! You are viewing the most recent posts from blogs in the Reviews category in the JacketFlap blog reader. These posts are sorted by date, with the most recent posts at the top of the page. There are hundreds of new posts here every day on a variety of topics related to children's publishing. Scroll down through the list of Recent Posts in the left column and click on a post title that sounds interesting. Click a tag in the right column to view posts about that topic. You can view all posts from a specific blog by clicking the Blog name in the right column, or you can click a 'More Posts from this Blog' link in any individual post. My dark horse Newbery front runner. I found it because Roger Sutton mentioned it off-handedly on his podcast, but it was Monica Edinger’s Horn Book review that got the most attention from the folks at Heavy Medal. It’s just the most delightful little Cold War, East Germany, book you could name. I’m gaga over it. If your kids read it, they will be too. Again with the book recommendations from Monica! This time a couple years ago, when she found the English edition of this book. It came out this year with surprisingly little fanfare, but I just adored it. The question is whether or not kids unfamiliar with the works of E. Nesbit will get anything out of it. The eternal optimist, I vote yes! I mean, it’s about a tyrant finding its (his) soul. There’s something to that. Funny that I never reviewed this one, but with Jenni Holm you sort of don’t have to. The woman’s masterful. To read her book is to marvel at how seemingly effortlessly she pulls various elements together. I will say that though this book is a prequel, you will not need to have read its predecessor to get anything out of it. It is, in a nutshell, sort of perfect. To ask anyone to craft a wholly original fantasy novel for kids is just setting that person up for a fall. If Mafi succeeds in any way here it is in her writing rather than her ideas. Not that her ideas aren’t interesting. They are, but it’s the characters, their interactions, and their personalities that sold it for me. It is infinitely readable and a lot of fun to boot. I like fun. I liked this book. I don’t hold it against it that it’s a New York Times bestseller either. Years ago (three?) I said this Jason Reynolds guy was gonna be a star. I had a chance to hear him speak for the NYPL librarians after the publication of his first solo YA novel. In 2016 he started publishing middle grade in earnest and if he doesn’t win any major awards this year it’s simply a matter of time before he does in the future. I don’t know if Ghost is gonna take home a Newbery in any way, shape, or form. I just know that it was incredibly fun to read. One of my favorites of the year. It’s anyone’s guess as to why it took me 8 months or so to finally pick this book up. When I saw Kelly speak at BookExpo here in Chicago this year I knew she was on to something. But to be perfectly frank, I’ve loved her work since she wrote The Mostly True Story of Jack (a book that I would contend still doesn’t get the attention and respect it deserves). I liked this one a lot. It’s a thick one, no question, but it also compelled me skip ahead a little just so that I could make sure that the villain wouldn’t win. There’s only one other book on this list this year that made me do that. I’ll let you guess what it was. I include this book not because it’s some deep, insightful, heavily meaningful book fraught with consequence and award-worthy pain. No, this is just the kind of book I would have LOVED as a kid. I was the one who checked out all the Apple paperbacks that involved ghosts from my Scholastic Book Fair orders. So, naturally, this would have appealed. I mean, the back flap copy calls it “The Shining meets Hotel California” and that ain’t wrong. You’d never know it from the cutesy cover, though, would you? Someone needs a cover do-over. It doesn’t need my help. It never needed my help. But it’s wonderful and winning. Smarter than almost every other book on here by half. Gutsy. Challenging. And I can’t wait for the movie. I call dibs on Tom Hiddleston to play the King of France. Poor little book. You were the first novel I read in 2016 and I came dangerously close to forgetting you here today. I liked this one very much, going so far as to say in my review that it was similar in tone to The Princess Bride. It actually makes a rather good pairing with THE GIRL WHO DRANK THE MOON, come to think of it. If you’ve a kid looking for light, frothy fantasy, this is the one to pick up. Does anyone ever point out how funny these books are? Yes, we all know Louise Erdrich to be a master writer, but she’s also incredibly hilarious when she wants to be. 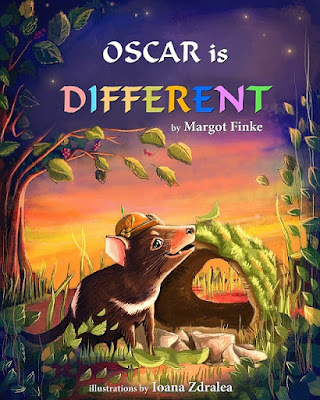 The latest book in the Birchbark House series did not disappoint and even gave us a few new characters. My favorite is the character done in by vanity, brought low, and ultimately redeemed. I’m a sucker for that kind of tale. If you could have any superpower, would you choose the normal one or the weird one? If you chose the weird one then this book is for you. I think we’ve seen the outcasts-with-superpowers motif a lot (Spiderman, arguably, was one of the first) but I like Ignatow’s style so much that this is one of my current favs. How much do I love it? I actually bought a copy for my niece and I almost never ever buy books. What can I say? It was just that good. Not usually my kind of book but I liked Anderson’s Sidekicked years ago and figured that in spite of the description it might work for me. And it did! Granted, there’s more than a touch of Dead Poet’s Society to it, but all I cared was that it had an honest ending. An honest earned ending. This title doesn’t pander and I appreciate that. Worth discovering. Can you believe this book came out in 2016? I feel as if we’ve been talking about it for two years. It’s still one of the strongest of the year, no matter what anybody says. When I was a child, I had a thing for foxes. Clearly I missed my era. If you’ve somehow managed to avoid reading this title, you have time to get your hands on it before award season. Do that thing. While I would repeat that this book would be Because of Winn-Dixie if you dipped that book in a vat of sadness, that doesn’t mean it isn’t remarkable. I found it breathtakingly sad, but also smart. I didn’t care two bits for the main character (she’s remarkably forgettable) but the other characters just popped off the page. Quite a book. Poor action/adventure fans. What do I even have for you here today? Well, I have a fantasy novel coming from one of the co-creators of the Avatar: The Last Airbender television series, and that ain’t peanuts. Though it does come across as a slightly less scholarly His Dark Materials, I enjoyed the premise of Rebel Genius (a great title, if ever there was one). The big bad villain never makes an appearance but plenty of other baddies do. It’s compelling to its core. I just finished reading my daughter Where the Mountain Meets the Moon and wanted to just skip directly to this one, but Starry River of the Sky is next on our list and we shall not go out of order. Of the three books in the series, this is by far my favorite, and you certainly don’t have to have read the other books to enjoy it. Lin gets better and better with every book she writes. Annoying for her fellow authors, I’m sure, but great for the rest of us! This marked Peter Brown’s debut as a novelist. Doesn’t seem quite fair that he should be able to write AND draw. Leave a little talent for the rest of us, won’t you, Peter? In any case, I’m all about the strong female heroines. So often in robot books the de facto pronoun is “he”. Brown made it “she” and it works for her. Better still, it works for us. Remember earlier when I mentioned that there was one other book on this list that made me so tense I had to skip to the back to know precisely who would live, who would die, and what would become of the villain? Because the villain in this book does meet a terrible fate, but even so remains a cussed little wretch to the end. She is, without a doubt, the best villain I’ve encountered in a children’s book in years. A true blue psychopath. Best you know now. I read aloud FIVE CHILDREN ON THE WESTERN FRONT to my 4th grade class last year and they loved it. None had read FIVE CHILDREN AND IT. I also gave it to a kid this year who reads literary sorts of things. Oh yeah! I had gotten out of reading middle school fiction because life intervened. Looks like a few here that will entice me to return. Thanks for the list. First sentence: Koko's full name is Hanabi-Ko, which is Japanese for Fireworks Child. Premise/plot: Koko's Kitten is a nonfiction picture book for elementary-aged readers. Though the book is called "Koko's Kitten," the picture book biography (of a gorilla) tells much more than just that one little snippet of her life. It tells of how Koko was/is the subject of a special project, how she started learning sign language, the special bonds she's formed with the humans in her life, etc. The climax of this one, is, of course, how she came to have a kitten of her own. My thoughts: I remember learning about Koko in the 1980s. And I had fond but vague memories of Koko's Kitten. I remembered she had a kitten. A kitten named All Ball. I remembered that the kitten died and she wanted a new kitten. It turns out I remembered only *some* of this one. I still like it. But it is more wordy than I remembered. If you're reading this on a site (other than Becky's Book Reviews or Becky's feed, be aware that this post has been stolen and is used without permission. Make sure you're telling your story in the correct order. First sentence: It happened every spring in Fall River, Massachusetts. Premise/plot: Sarah Miller's newest book is a middle grade nonfiction book about Lizzie Borden and the 'trial of the century.' On August 4, 1892, Mr. and Mrs. Borden were murdered. Miller chronicles the events stage by stage. 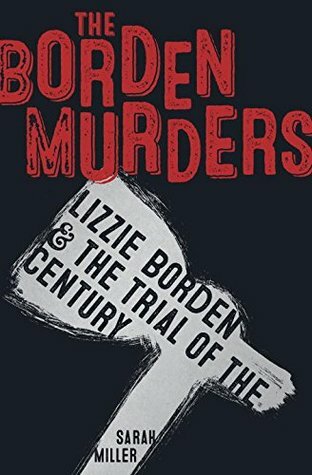 Her book is divided into sections: Lizzie Borden Took An Axe, Murder!, The Bordens, Investigation, Inquest, Arrest, Preliminary Hearing, The Waiting Time, The Trial of the Century, Aftermath, Epilogue. My thoughts: This one was incredibly compelling and very well researched. (Over twenty pages of notes documenting among other things all the dialogue in the book.) Miller presents a balanced perspective of the case allowing readers to make up their own minds. Miller gives all concerned or connected the human touch. The press does not come out looking innocent. Whether your interest is true crime, biography, or nonfiction set during the Victorian period, this one is worth your time. First sentence: This is my dollhouse. It used to be just a cardboard box. But then I painted bricks on the outside and divided the inside into rooms and made wallpaper with my markers and it became almost like a real little house. Premise/plot: Readers meet an imaginative young girl who loves, loves, loves to play with a dollhouse she created by herself. Readers also meet her friend, Sophie, who has a store bought dollhouse. The two do work out how to play together despite their differences. I have several siblings (several- more than three, less than a dozen). For years, I gave every sibling a Christmas present. Then, I gave every sibling and his or her significant other a Christmas present. THEN, I gave every sibling, their S-O and their CHILDREN individual Christmas presents. THEN, I gave each family a box of Christmas presents. Finally, I sent some of my siblings a “family” Christmas present. Now, they are lucky to get a greeting card from me. This is the evolution of my family gift-giving. A gift can be as small as a button, as mysterious as an empty box, as ephemeral as a kiss. Books about gift-giving and generosity that I love. The Best Christmas Ever by Chih-Yuan Chen. 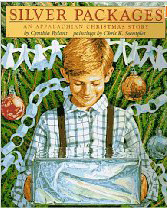 I will mention this book every Christmas season in some form or other, because I love it so much. I love the brown paper feel of the illustrations. I love the feeling of winter, darkness, and struggling hope. I love its simplicity. And I love the joyous resolution. The Bear family is so poor that they don’t even hope for presents this year. On Christmas morning, they find that “Toddler Christmas” visited in the night and brought them small, precious gifts. Birthday Surprises edited by Johanna Hurwitz. Hurwitz asked 10 children’s authors to write a story about a birthday in which a child received an empty box. Sometimes, the box was the actual present. Sometimes, the box represented something else. In one case, the box was sent by mistake and the present was delivered in person. Imagine getting a box filled with air. Silver Packages by Cynthia Rylant. First published in Rylant’s collection, Children of Christmas, this story tells of a train that rolled through the mountains and gifts that were thrown from the back to the impoverished children. Every year, a boy wishes for one particular gift. Every year, he gets something he needs. He returns as an adult and we find out whether his wish ever came true. The following website offers a list of books about gift-giving and generosity to share with your young ones. The Best Childrens Books about Generosity. Back on December 9th I wrote a piece on those reprinted picture books I was happiest to encounter in 2016. Now I’ll say a word or two about the reprinted novels of this year. Naturally, if you look at the output from the publisher New York Review Books you’ll find a lovely array of titles. For more than are listed here, that’s for sure and for certain. The books I’m including today are ones I’ve read, so it’s fairly short. Still, don’t miss the books listed here today. The book market is not kind to reprints that could be called “forgotten”. My knowledge of previous collections of all the Borrowers stories is not good enough to determine whether or not any previous versions also included the short story “Poor Stainless” or not. Whatever the case, this new bound volume of full stories is delightful. Chock full of illustrations, it’s the ultimate Borrowers collection. The title probably hasn’t been out-of-print before, but I do know that back in the day it was Maurice Sendak who illustrated it. Sanderson’s a different take than Sendak, that’s for sure, but it’s a lovely new edition. If Disney had any sense in its monolithic head it would have years ago grabbed the literary rights to every publication ever brought to the silver screen. Imagine, if you will, a children’s book collection that consists of books that are better known now for their Disney adaptations. 101 Dalmations by Dodie Smith, Old Yeller by Fred Gipson, Swiss Family Robinson by Johann Wyss, and, naturally, The Rescuers. As with most Disneyfied products, when I read this book as a kid I was struck both by how sharp the writing was (not cutesy in the least) and also by how good illustrator Garth Williams was at making horrific looking humans. Turns out the master of whimsy had a penchant for the grotesque as well. Never knew he had it in him. For other celebrations of reprinted books, please check out the ShelfTalker piece Hello, Old Friends. I wish I’d seen the Lobel book mentioned there. Ah well. Can’t get them all. Thirty questions to think about before you tackle your next revision. First sentence: We know Laura Ingalls Wilder best through her nine Little House books, which tell the story of her life as a pioneer girl. Premise/plot: This biography of Laura Ingalls Wilder would be perfect for upper elementary or middle schoolers. In some ways it's "just" a biography, but, in other ways it's so much more than that. One thing that I loved about it, for example, is the inclusion of HOUSE PLANS for all the houses Laura Ingalls Wilder lived! That plus the inclusion of crafts and recipes and extension activities really just made me happy. For any reader who loves the book series or even the television series, this one is a fun and easy-going read. Easy to recommend this one! First sentence: Art, this is the BEST day ever! I'm so excited to meet our new neighbor. I hope she loves art too. Premise/plot: Louise and Art are back in a second book! (Though the focus is on Louise and not her adorable, little brother Art!) Louise and Andie, the girl next door, become good friends quickly. But things don't stay wonderful long, soon, these two realize they have artistic differences. Can this friendship be saved?! My thoughts: Loved this one. I did. I really loved it!!! It is so important--no matter your age--that you learn how to resolve conflict! I love seeing this friendship endure the stress of a big argument. I love that these two are able to work things out and really come to know and appreciate each other better. I peer into the darkness and at long last I see the light at the end of the tunnel. We’re almost there! Almost at the end of this month’s 31 Days, 31 Lists challenge. I’m certainly delighted, not least because I’ve managed to keep it up so far (knocking on wood now as hard as my brittle knuckles can knock). As with some of the lists, today’s is not by any means complete. I fell down on the job of reading as many chapter nonfiction books as I should have. And since I refuse to place any books on these lists that I haven’t actually read myself, it’s going to be far too short. For a variety of far more complete lists featuring nonfiction, please check out the Best of the Year compilations from all the major review journals (SLJ, Kirkus, Horn Book, etc.) as well as libraries like NYPL, Chicago Public Library, and others. A Celebration of Beatrix Potter: Art and Letters by More Than 30 of Today’s Favorite Children’s Book Illustrators, edited by The Stewards of Frederick Warne & Co. It seems a pity that I’m only just now mentioning this book, but I honestly couldn’t figure out if there was any other list it would slot into easily. In truth, it’s probably made for adult enthusiasts and not actual kids, but who knows? There could be some Potter loving children out there. Maybe they’d be interested in the wide variety of takes on one classic Potter character or another. Whatever the case, this book is a beautiful ode to the works of Beatrix and anyone would be pleased to receive it. This is right up there with Sy Montgomery’s Kakapo book as one of my favorite books about obscure birds out there. Of course, the Kakapo is dumb as a box of rocks while these birds are smarter than human 4-year-olds, but who’s counting? Orca consistently produces fun nonfiction titles on serious subjects in a voice that never patronizes its young readers. This latest is no exception. I really wasn’t sure where to put this one either, and it just feels like it has a bit too much content to consider it a picture book. 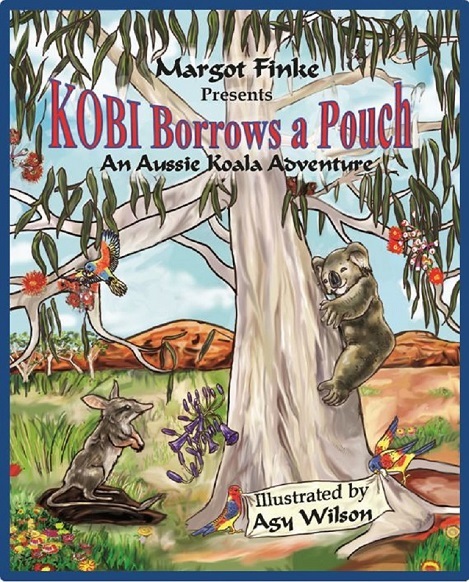 The publisher calls this, “A celebration of humanity’s written and verbal languages is comprised of fully illustrated word charts depicting children of diverse cultures participating in everyday activities, in a reference complemented by a free downloadable app for iOS and Android that allows readers to hear the book’s phrases as recorded by native speakers”. Cool, right? Well, says Kirkus, “This will be a necessity for just about everybody, as there are no phonetic spellings”. So word to the wise. It’s still a pretty amazing book. Did I mention I liked it yet? Still one of the most powerful books of the year. This one came out so early in the year that I almost forgot it was a 2016 title. Then I remembered that there’s this crazy outside chance that it could win a Newbery for its fantastic writing. So there’s that. It took me a while to jump on the bandwagon with this one, since I’m sometimes slow on the uptake. Now that I’ve read it, I’m gratified to write that it really is quite amazing. I’m not sure what kid would pick it up on their own, but it does a really lovely job of encapsulating White’s life and spends a good amount of time on his writing for children. Visually arresting from start to finish, this is one of the best bios of the year. Glad I followed the crowd on this one. I’m not a huge fan of the cover, but I think the book’s worth its weight in gold. FYI. I choose to focus on what you have accomplished this month. I’m grateful for every title and cover you have featured. Today’s list might not be the most extensive, but the quality of those books you did read and shared with us is exceptional. I anticipated that this daily gift from you would be phenomenal, based on the quality of your daily posts. However, you have exceeded any and all my expectations several times over. What fun it has been to look forward to a new list every day this month. Thank you so very much. Aw. Thank you. That alone makes all this worth it. share the adventures in both these books. 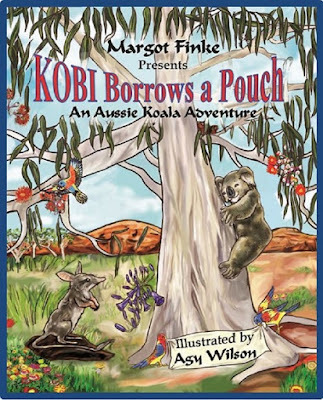 An Aussie Word Glossary and animal information are at the back of each book, plus fun details about Koalas and Tasmanian Devils. scared, and REALLY misses his mom. Oscar is a Tasmanian Devil who looks like his relatives--mean and ugly. friends with everyone--you see, he REALLY is different. nature becomes a grand adventure. Ages 5 through 14 years. Add 50c for each extra book. First sentence: Ancient Greece: an age of marvelous myths, gone, but not forgotten. Heroes that rise and fall. Premise/plot: This is the third collection of reverso poems by Marilyn Singer. The first two were: Mirror, Mirror and Follow, Follow. Both of those were fairy tale inspired poetry collections. This third book is inspired by Greek mythology. So what is a reverso poem? A poem that is both read top to bottom, and bottom to top. The two 'versions' of the poem might tell completely different stories! Word order and punctuation can accomplish a LOT. Much more than I ever thought about!!! Most of the reverso poems in this collection have two narrators. For example, with "King Midas and His Daughter," the first poem is from the daughter's perspective (top to bottom), and the second poem (bottom to top) is from the King's perspective. I think my favorite poem might be "Pygmalion and Galatea." Wondrous!/ How/ life-/ like! There is nothing in this world/ so perfect. Oh, these lips, hands, eyes!/ The artist/ is in love with/ his creation./ Let a heartfelt wish be granted,/ kind Venus:/ Only you could make this stone breathe! Only you could make this stone breathe!/ Kind Venus/ let a heartfelt wish be granted./ His creation/ is in love with/ the artist./ Oh, these lips, hands, eyes--/ so perfect!/ There is nothing in this world/ like/ life! How/ wondrous! *The book does have at least one typo. And I wouldn't have noticed it if I hadn't chosen to share it. I would have just auto-corrected in my head without thinking twice. "There is nothing is this world." I include it here just in case it hasn't been caught yet and fixed already for future editions. Many things have to happen after you hand in the final text of your manuscript and its publication. Look what I got in the mail right before Christmas! This is an example of a traditional "gift" book - lovely to behold and to hold. Other traditional gift books are coffee table books, heavy with color plates, or educational tomes to enrich the recipient's mind, or inspirational volumes. Gift books look impressive on display. Every major publisher puts out books in the Fall that are designed to catch the eye and to answer the needs of the gift-giver. Most book review sites produce Best of... lists before the holidays so that no one goes ungifted. I prefer to let people do their own choosing. I am not alone in having received book gifts that were not to my liking. I have GIVEN books as gifts that ended up in yard sales. This brings me to something I have been mulling over during this season of grabbing, getting, gifting, griping, to say nothing of wrapping, worrying and wondering - the anthropology of gifts. Did you get what you wanted this holiday? Did you give the perfect gift? Are you wishing that you had spent more...or less? Did your friend get a better gift from you than you got from him? Why do you give gifts, anyway? hurt that the giver has no idea what we like - or who we are - even what colors we hate! Yep, it’s a mine field, this giving of gifts. A young friend once complained that her relatives, whom she barely saw, gave her a beautiful Christmas stocking. By the way, the stocking was absolutely gorgeous. It was not appreciated. The relatives did not want to show up empty handed, especially when they spent so little time with my friend. And this brings up the politics of RECEIVING gifts.... Whoo, Nellie! Do we really want to go into that, right now? The ONLY acceptable way to receive gifts is happily and with a “Thank you.” Jumping up and down with glee is acceptable if you are small enough to jump up and down without shaking the floors. Sulking is never a good thing. If the gift is insulting, the giver has been thwarted. You seem pleased. They will have to try harder. If the gift attempts to impress, well, act impressed if you want to, but it is not obligatory. If the gift was meant to flatter, don’t make much of it - unless you want to flatter back. If the gift feels obligatory, remember, the giver didn’t have to give you anything. If the gift seems insignificant, perhaps it is all the giver could give you. This holiday season, I decided not to worry about it. I asked my loved ones what they wanted and gave them what I could to meet those requests. I love every gift I receive, because I love the givers. The best gift we have is our friends and family. So, if we remember that, it’s all good - (in the words of Pete the Cat). First sentence: I love the way you monkey around. I love the way you stomp up dand down! I love the way you waddle when you walk. My thoughts: I definitely like this one. It's for little ones--babies, toddlers--no doubt. I like the animals. I especially like the elephant! 18. 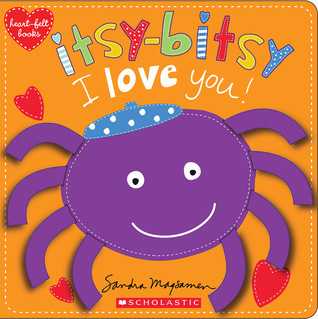 Board book: Itsy-Bitsy I Love You! First sentence: My itsy-bitsy spider climbed up to snuggle me. Down came my arms, we hugged so happily. Premise/plot: This board book reworks the classic song "Itsy Bitsy Spider." 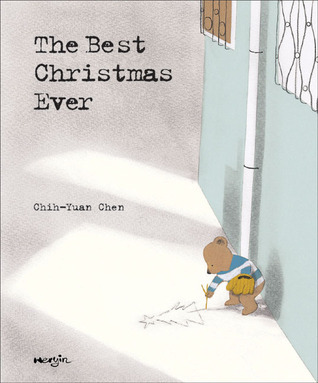 I love seasonal picture books, because I love the way they connect us with what is going on outside at this particular moment. They connect us to a rhythm that is bigger than the one that many of humans seem to follow. Today's picture book takes us into a snowy, wintry landscape that is beautiful and stark. On the pages we meet a determined little mouse who is trying to collect firewood so that he can keep his family warm. First sentence: "We are invited to dine with Mr. and Mrs. Alberton," Hester said in reply to Monk's questioning gaze across the breakfast table. My thoughts: I really am enjoying this series again. I really like seeing Hester and William settle down into married life. I really love seeing these two love and respect and cherish one another! Yet the romance in the book is never in-your-face or time-consuming. Instead it is in the background, subtle. The issue in this book is "slavery" and whether it's right or wrong to sell guns to the South. Does someone who sells guns for a living have a moral obligation to sell guns only to people whom he agrees 100% with? Does he have the right to refuse to sell guns to interested buyers because he finds their cause distasteful? Who is really capable of deciding which causes are good or bad? Tom Sawyer Abroad. Mark Twain. 1894. 108 pages. First sentence: DO you reckon Tom Sawyer was satisfied after all them adventures? I mean the adventures we had down the river, and the time we set the darky Jim free and Tom got shot in the leg. No, he wasn’t. It only just p’isoned him for more. That was all the effect it had. Premise/plot: Tom Sawyer, Huckleberry Finn, and Jim (now free) accidentally have an adventure together--in a hot air balloon--that takes them halfway across the world to Africa. The trip has its dangers certainly. But Tom is so smug and obnoxious that one of the biggest dangers is the size of his ego. The book's biggest weakness perhaps is its sudden and abrupt ending. I can almost imagine Mark Twain going, well, it was fun and interesting when it started...but I've got a new idea for a book now and I just don't care about this anymore. So let's type THE END and send it off to be published. My thoughts: If the ending had been an actual ending, perhaps this one would have been worth my time--and your time. As it is, I can't really recommend it! Was it easier to get published back then? Was Mark Twain under contract? Did his editor not care either? Did he even have an editor? Instead of improving as it goes along, it does the opposite. Each chapter shows Twain's growing lack of interest in what happens on this balloon ride. I don't think the fault is solely in the premise. I think it's just that when you start a book you should see it through to the end...or else not publish it. First sentence: Collecting Barbie dolls is one of the most popular hobbies today. Premise/plot: Janine Fennick's book is a nonfiction guide for adults (primarily) about collecting Barbie dolls and caring for your doll collection. She essentially divides Barbie dolls into three categories. (The book was published in 1998; I'd argue there needs to be a fourth category). Her categories are: "The Ponytail Era" (1959-1966), "The Mod Era" (1967-1972), and "The Collectible Era" (1973-present). The first fifteen pages essentially act as an introduction to doll collecting itself. The remaining three chapters focus on a specific era of doll production. The writing is both technical and practical. A fun, swinging narrative it is not. If you want to know the difference between a #1 Ponytail and a #2 Ponytail (the first two dolls) this book will tell you ALL you need to know. If you want to know what year Midge got bendable legs, this book is for you. My thoughts: I'll be honest, though she discusses all three eras, the author's bias for the first two eras is obvious. I wouldn't mind knowing what she thinks of the current state of Barbie. (I am disappointed not with the Fashionista line, but, with the other offerings. Almost all Barbies produced in the past five to seven years have the exact same face, almost the exact same makeup, almost the exact same hair. There is no point anymore to buying *more* dolls. To have two or three dolls with the same face is one thing. Twins! Triplets! But to have sixteen? That's just CREEPY. Instead of buying more dolls, you'd almost be better off just buying fashion accessories. But clothes can be very taste specific. (I always LOVED, LOVED, LOVED sewing my own Barbie clothes. In fact it's probably the number one thing I miss about playing with Barbies.) I miss the 80s and 90s. Yes, the author doesn't really see the point of it all. But I did and do. Probably the biggest strength of this book is the use of COLOR photographs. So many dolls, so many fashions shared in FULL color. Some of the Barbie biographies (for lack of a better word) just have black and white photographs. Yes, the narrative might be more entertaining. But it's the PICTURES OF BARBIE that makes you want to keep flipping through the pages. I should also note that I am and always will be a believer that Barbie is meant to be played with and loved. This view puts me at slight odds with the strict collector looking for everything to be in a never been opened box. Not surprisingly, I also loved sewing Barbie clothes. My cousin was older, so she had an original doll, and I loved looking at the clothing catalogs she had for her! Haven't thought of Barbies in years-- my daughters had no interest in them whatsoever! I miss the 80s and 90s too. My sister and I were big fans of Barbies. We loved creating personalities for them and playing out dramatic storylines. (We were not as into the fashion.) Sadly, I don't think my daughters will have Barbies. The newer ones are just not the same. For me it was definitely both. I loved playing with the dolls. Most were fully developed characters with likes, dislikes, strong opinions, and unique style. To this day my sister and I can see something or hear something and go, "That's so Scarlett, or that's so Carrie." There are several reasons when you should use a flashback, and many why you shouldn't. 24. It’s Tuesday! Write. Give. Share. It's Tuesday! Write. Share. Give. It’s finally come! The list is nearing its end. So it is with great delight that I present to you some of the last of the lists. Today’s is particularly long, celebrating what I consider to be some of the best books of 2016. Since so many of them have shown up on my other lists I’ll leave off the comments this time around except for those that haven’t appeared here before. If this hasn’t appeared on a list before it’s only because I’ve never found a place to slot it. Though it has elements of biography to it, it’s mostly about sustainable farming, overcoming religious differences, and working together. And since I never made a peace and global studies list (next year?) it shall go here instead. Very keen. It’s a good book to use if you want to describe to a kid how cities form, what they contain, their problems, their solutions, and their future. Lots of lift-the-flap elements as well. One note – if you’re buying this book for your system through Baker & Taylor, they’ll have a warning note attached saying that there are small parts and that it’s not appropriate for children under the age of three. They sometimes will put this warning on books with small lift-the-flap flaps. I personally think the book is safe, but you may be strict in your policies. FYI. Since the book is focused far more on the invention than the inventor, I couldn’t really put it on the biographical list. So for all that it’s fun and funny and interesting and beautiful (really beautiful) I’ve had to wait until now to put it on any lists. That said, it was worth the wait.